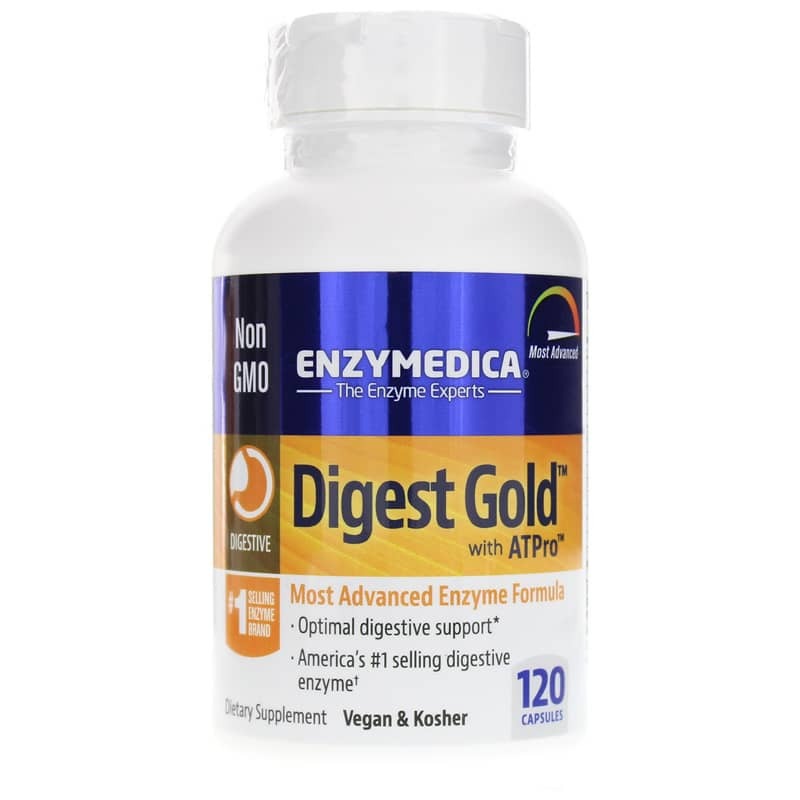 Digest Gold with ATPro from Enzymedica is intended to promote digestive health and energy production. These digestive enzymes may provide digestive system support by helping to break down food, even food that may otherwise to be difficult to digest. Amylase may help in the digestion of carbohydrates, protease may help in the digestion of proteins, and lactase may help in the digestion of lactose, which is a form of protein found in milk. 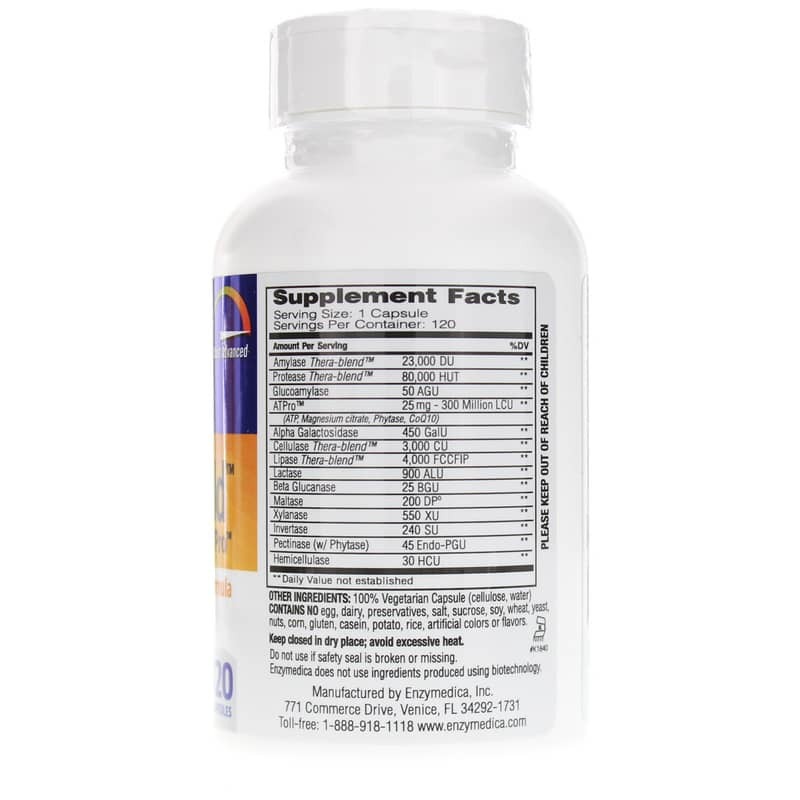 The supplement also provides ATP, magnesium citrate, and CoQ10 to help support energy production in the cells. ATP is a molecule that the body produces naturally and is used to provide the body's cells with energy. CoQ10 is present in every molecule and is also used in cellular energy production. Adults may take 1 capsule at the beginning of each meal or more if needed. Consult with a healthcare professional before taking. Adults: Take 1 capsule at the beginning of each meal. More may be taken if needed. Digest Gold with ATPro is an excellent buy for this product. I am very satisfied with it and will purchase here again. Highly regard Digest Gold with ATPro. Seems to help. You get what you pay for. Digest Gold with ATPro has been a true life saver..
Unbelievable difference when I eat!!! I have been using Digest Gold for the first time and find that they do help. 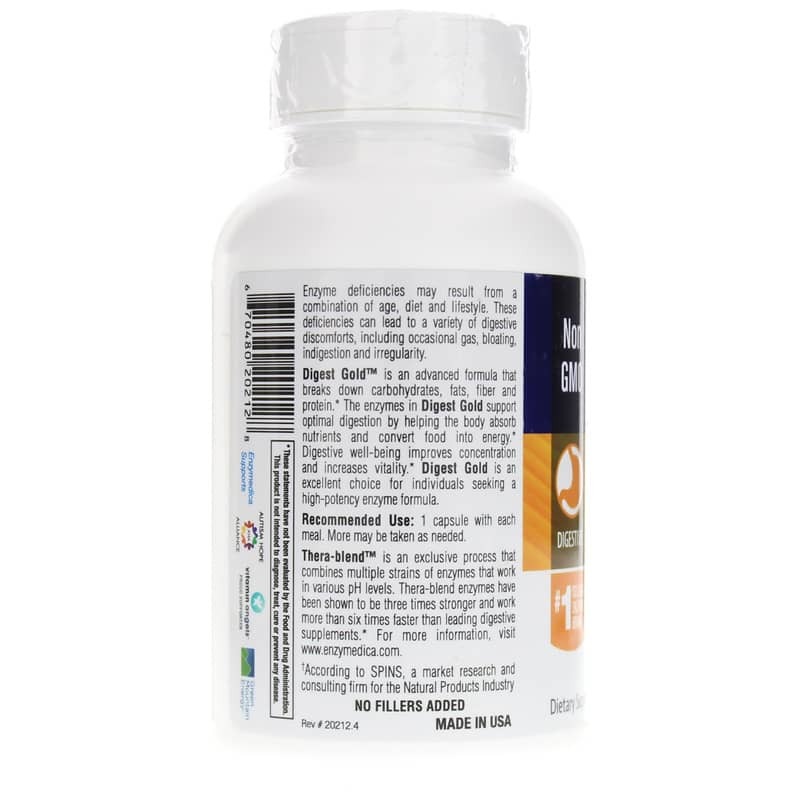 I have been using Digest Gold with ATPro from Enzymedica for several months now. This has been extremely helpful. One of the best enzyme formulas out there! I use these enzymes on a daily basis. They truly help!! My doctor wanted me to go on antacids permanently for the reflux caused by osteoporosis prevention medication. I went off the medication and started these enzymes. No more reflux problems. After years of digestion issues one of my friends told me about Digest Gold and what it did for her and helped her. I bought it and within 2 weeks all my previous issues were gone and my life got better. Cannot be without it. Thank you so much for this product. I love all of the Enzymedica products, however, though more expensive to capsule, I find I need to take fewer of these than the other enzymes for food.